Well it’s time to bring you up to speed with what’s been happening. After a couple of bad night’s sleep last week with lots going on in my head, I wrote a long letter to Glenda explaining how I felt we weren’t moving forward, and that she kept continuing to focus on issues that had been resolved – i.e wetting and soiling, yet the big issues were getting worse – the hitting, the screaming, the manipulating a situation by not making a choice. At the same time, the NC had contacted Post Adoption Support (partly because Glenda had suggested we did and partly for some support now Mini was becoming aggressive towards him). So following my initial meeting with the parent supporter, we met with the Post Adoption Support Worker (PASW). After an hour and a half of us talking at him he agree that he would write an action plan, therapy would be good but we’d need to establish the ins and outs of Mini’s issues first. The action plan has been created, and we now have estimated timescales on the action plan, which are not too far away. We will be undergoing something called a MIM – this stands for Marschack Interaction Method, which is a videoed recording of us interacting with Mini, to evaluate 4 areas – Structure, Engagement, Nurture and Challenge. As I understand it, it will look at me and the NC and our ability to offer these things to Mini, but it will also look at Mini’s ability to respond and engage with us. The video is then evaluated and used to determine which therapies are to be used. This action plan also involves the parent supporter, and she has now referred me to a parenting course which I start soon, using a different technique to those I’ve used before. She was keen to use this with me anyway, and now the PASW has confirmed it will be useful. 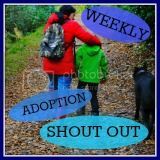 The parent supporter is lovely, open, warm and friendly and will also be accompanying and introducing me to a playgroup so Dollop can socialise, so I can have a bit of a break and so I can meet more mums. She feels that more support for me is vital in helping me support Mini. Glenda is also named on the action plan, and following my long email, Glenda is now keen to help support the NC as well as me, and she’ll be there during and after the parenting course too to continue to help and support. So glad to hear things are moving forward for you. The parent supporter sounds lovely! I hope all these people live up to their promises and you get all the support you need - and soon! Thanks Sarah. I'm not getting my hopes up because other promises from various people have so far failed to come through, but whatever the outcome, at least the parent supporter is there for me and will help me 'fight our corner' if I need/want her to. Sounds good. Let's hope this is the beginning of real support! Keep your fingers crossed for me Buster! Don't worry it'll be fine, the camera will be tiny, you'll hardly know it's there and will just be focussed on the activity they'll give you to do with Mini. Haven't heard of Triple P but have just googled it and their advice on how to deal with tantrums sounds totally wrong. Awful stuff. And this will set the stage for their whole approach. Same old rubbish about ignoring and using timeouts which is totally wrong for adopted children. Is your PASW aware of this? See if there's a Safebase course in your area instead (delivered by afteradoption.org.uk). You need a course specifically for adoptive parenting. Interesting as the research I've done on Triple P shows how flexible it can be, and I'd like to think I'm intelligent enough to pick and choose the bits that will work for my family. One of the main parts of the approach is to acknowledge and not ignore, and timeout is used differently to other approaches. My PASW is completely aware of what Triple P involves, and is the play therapist, as is the mental health therapist. And of course, I've spoken to other adopters who've used Triple P parenting, or aspects of it with great success. Personally I think any course I attend adds to my own knowledge and personal development. It's a free course, designed to help me, but if I don't like it, then I don't have to use it. Is the Safebase process something you have personal experience of? Just wanted to comment on above comment, we use time out very effectively with our adopted son which our play therapist introduced, we also do some ignoring of something's which sometimes works dometimes doesn't, you have to use what works best with your child. OK it depends what you mean exactly by a time out, how you're using it and for what behaviours. For example, what Stix has described in another post sounds more like a time in type method. My comment above is too general I admit. I was responding more to the article about dealing with tantrums which I'd just read on the Triple P website. I really find it quite shocking that adoptive parents particularly are being advised to attend parenting courses run by people who advocate such an approach and attitude, and I just find it hard to know where to start to put that across I suppose. I feel very passionately about it. I would add though; we should think about how do we deem something to have 'worked'? How do we measure perceived success? And if it has worked, why has it worked? I would suggest that in our case, I will deem something to have worked when I am no longer scared of Mini when he raises a hand (even if it's just to scratch his nose), when I can take him out without fear of the repercussions the next day, when he stops attacking his dad. Absolutely - different things work for different children - adopted or not. Many adopted children do not need a *different* approach. I have a family member who is adopted, just a little bit older than Mini, but was placed at a similar age, and she is not experiencing any problems/issues whatsoever. She may face problems in the future but for now, she is parented in a normal manner. Adopters and adoptees often feel different in so many situations, we're a minority, to generalise and suggest we all need a specific parenting style just increases the gap between adopters and other parents. I think it's very important to ask why methods work if we're interested in long-term solutions. A substantial body of more recent psychological evidence now shows that the perceived success of some methods comes at a cost - ie: timeouts where a child is left alone or ignored are so popular because of this perceived 'success', but they work because they trigger the child's worst fear - that of being abandoned and unloved, which particularly in the case of adopted children is likely the cause of the unwanted behaviour in the first place, and in the case of any children has implications for our relationship with them (the key to any success) and for their emotional well-being. I actually fully agree that adopted children and birth children can be parented in the same way, in fact I feel quite strongly that they should be. But if by 'normal' you mean the conventional wisdom of punishments, rewards and punitive quick-fix Supernanny type methods, which do not address children's underlying needs, build heatlthy relationships, nor teach what we intend to teach, then I would strongly disagree. Whilst I feel the parenting approach I follow is appropriate for all children, I also think the particular needs of adopted children needs to be recognised in so many ways - by schools, health visitors and other professionals. It's not about increasing the gap, but about getting adopted children and their families the informed help and support that they need and deserve. I hope you haven't found my comments intrusive. I don't normally try to 'persuade' others around to my own parenting approach - I save all my rantings for my own blog! It's just for some reason your blog really caught my attention and you seemed to be really reaching out for support, and I felt rather dismayed by some of the advice you described you had already been given. I will go away now if you wish, but I really wish you all the best. We need further intervention, and thank goodness that therapy is on it's way, and professionals (who are aware of trauma) will analyse exactly what's going on and is needed - they'll be looking at the long term outcomes. For now, for us as a family to get through each day we need some ideas (and quickly) to help us manage daily issues and struggles, and ultimately help manage domestic violence. I'm not suggesting a parenting course will repair Mini, I don't think anything can, his anxieties are so deep-rooted, but I'm hoping therapy will help us learn more about how he feels and what's causing his anxieties, and will help us address and manage those anxieties properly. And then we might be able to look at other parenting approaches that help us long term. I don't think you'll find a single adopter who will disagree with 'I also think the particular needs of adopted children needs to be recognised in so many ways - by schools, health visitors and other professionals', we all have to face those people who don't understand, we fight to be heard, we fight to have our children's needs addressed, we fight and stand up for our children, and we recognise that many of them have additional needs that are as a result of their backgrounds. But those backgrounds are different, the manifestations of their traumas are different. Recognising that is important, but it often doesn't get us anywhere - believe me I've tried, and been shot down in flames by those so-called professionals. Which is why (bar a parent supporter) all those involved in our family now have experience of adoption, foster care, the care system and the trauma those situations can bring. But with their vast amount of knowledge, they are still advocating approaches and systems that are not neccesarily adoption specific (though that might come later), and I have to have some belief in them and their approaches, else I'd have nowhere to turn. Incidentally, I don't mean anything by normal - normal is different things to different people, and I feel that's also important to acknowledge. I'm so glad that you finally are being listened to and an action plan has been made. I'm sure the idea of being filmed is a bit nerve-wracking but I know that you will be open for suggestions so I hope it will bring some insights for you. I did a Triple P course and I did find it very flexible. We use the reward charts with success and particularly found assessing behaviour really helpful. You pick an area of behaviour and observe it for a while before putting in any parenting technique. It's helpful to think through what the best way of handling that situation is and whether it's onoe you want to respond to or walk away from. I know the "time out" debate re adopted children and the logic behind it regarding rejection. I think it's a judgement call really, like all parenting courses. You have to know your child well enough to judge how they will respond. We do use "time out" extremely effectively but Katie is in the same room as we are when she's on time out so she doesn't feel rejected. She can still see me but I don't interact with her until the time is up. Katie's attachment is pretty secure though so it works for her. We also use the immediate removal from us in the issue of biting and spitting (in our case) ie put the child down and walk away. No comment or drama made but it gives a message that such behaviour brings a removal of communication. I use this method if Katie spits at me or is seeking negative attention. It works pretty well. Thanks for your comment. You're not the first person I've 'spoken' to regarding Triple P, in fact, everyone I know that has 'done' Triple P, is unbelievably positive about it. I'm looking forward to learning about new approaches that I can try, and even if I don't try any of it with Mini, at least I'll know more about a different style, and bits of it might be useful for Dollop in time. Anything you can learn about parenting - even if it's not right for you - has to be useful right? So I'll do the course and report back, I start in a couple of weeks. And in the middle of the Triple P course, I'm also doing one on Theraplay - 2 completely different things, but both potentially useful, and if not, at least they'll be interesting!